Find artworks, auction results, sale prices and pictures of J.V.C. Anthony at auctions worldwide. 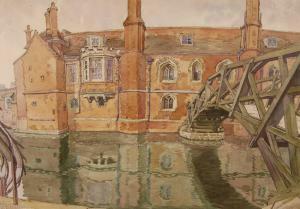 J V C ANTHONY Watercolour, Queens College Cambridge, signed, 15" x 22", framed.